Our event was hosted by Cambria Estate Winery. All opinions are my own. Living in Phoenix, AZ, there is a misconception that we only have dirt, tumbleweeds and yards full of cactus. But I am lucky to live in the “farming” area of Phoenix. Yes, it’s true. On almost every corner of my neighborhood grow corn fields, orange orchards, and lettuce patches. On most days we drive by dairy farms with beautiful cows that provide the valley with fresh milk. In this area of the Phoenix valley, we have more tractors than scorpions. 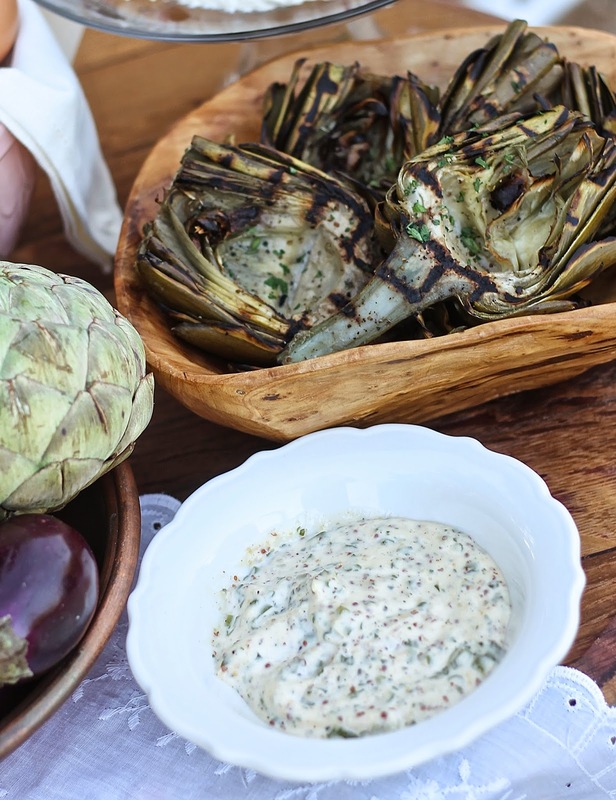 A farm-to-table potluck was in order to celebrate spring and all the bountiful fruits and vegetables that flourish in this season. Add some beautiful bottles of wine to the mix and it is a perfect evening. We were more than happy to enjoy and appreciate a night that still cools down as the sun sets. We only have a handful of those nights left in this valley of the sun. 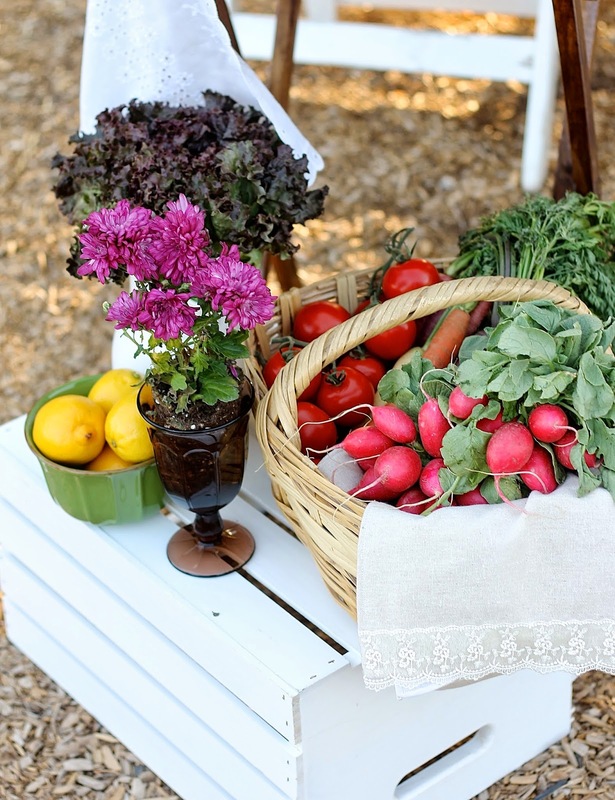 Living in the farm area of Phoenix, we are surrounded by some beautiful landscapes and homeowners who appreciate organic living and growing their own. 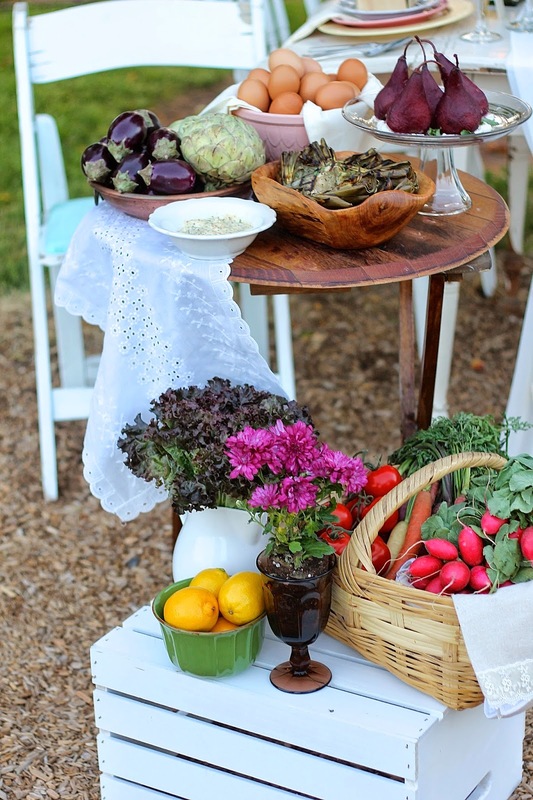 It is the perfect opportunity to make some delicious dishes that come straight from the garden. 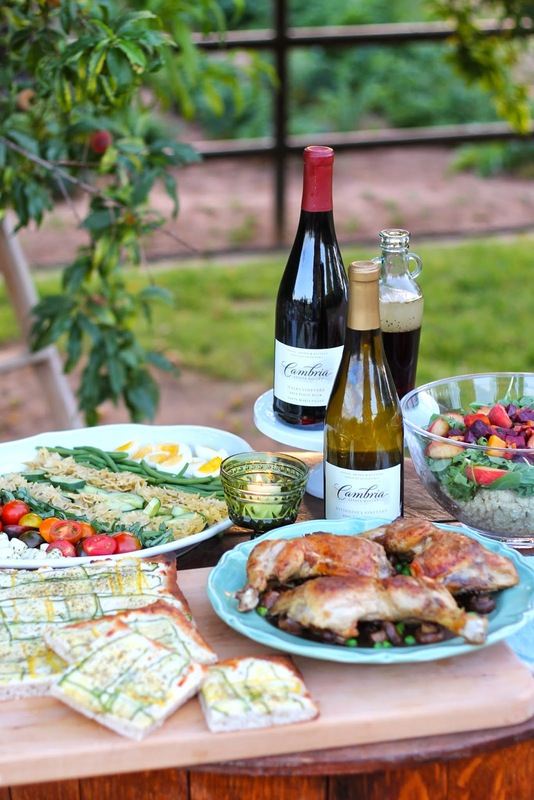 We wanted to take advantage of our surroundings and use farm-fresh ingredients that are perfect for a potluck dinner. 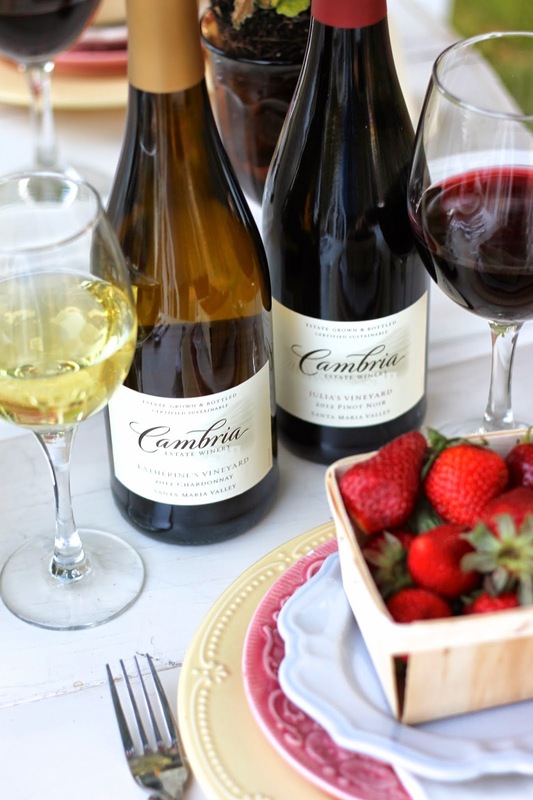 The evening was paired perfectly with wine selections hosted by Cambria Winery which included Katherine’s Vineyard Chardonnay, and Julia’s Vineyard Pinot Noir. 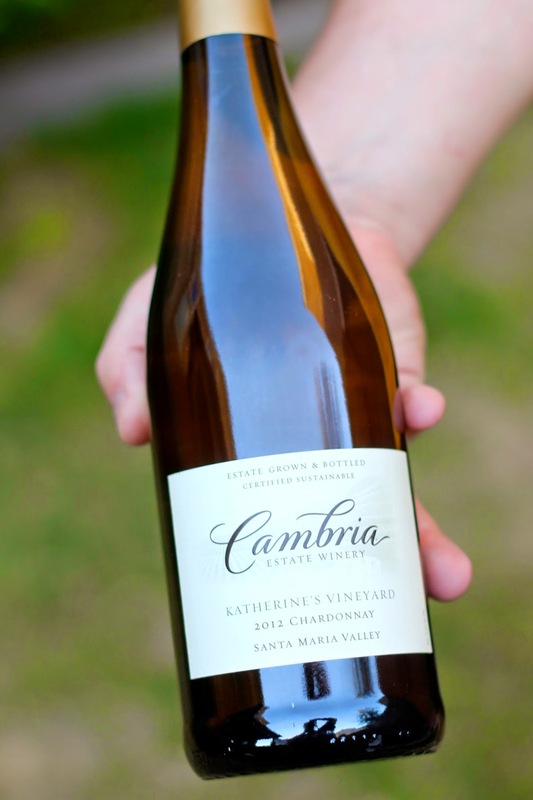 The 2012 Katherine’s Vineyard Chardonnay has a wide array of fruit flavors. This comes from the result of sourcing from varying vines that show in the final product. A warmer end-of-summer growing season allowed the wine to have exceptional flavor qualities ranging from mango to Meyer lemon. It’s a refreshing Chardonnay that is a perfect pairing for spring or summer. 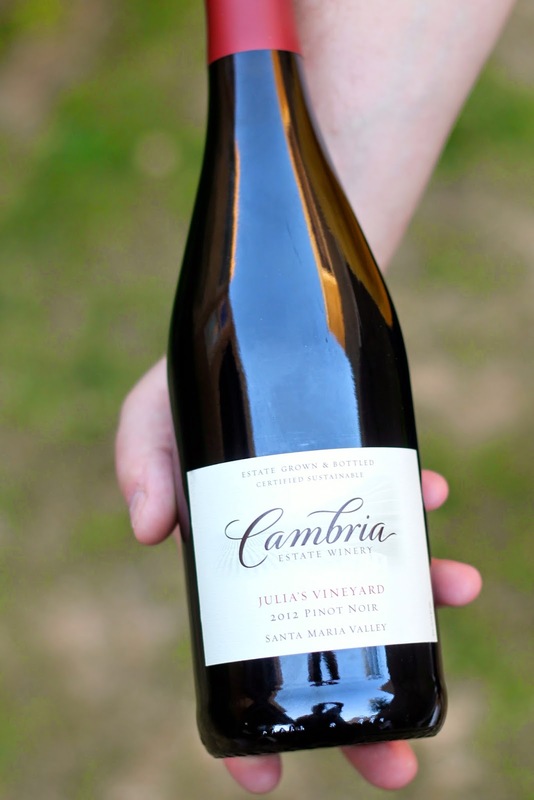 The 2012 Julia’s Vineyard Pinot Noir is sourced from vines grown on Cambria’s estate vineyards, one of the oldest commercial plantings of Pinot Noir in Santa Barbara County. Produced with a blend of vines both old and young, this wine is earthy on the nose and silky on the palette. The spring and summer temperatures of 2012 were the perfect conditions to grow an exceptional grape. 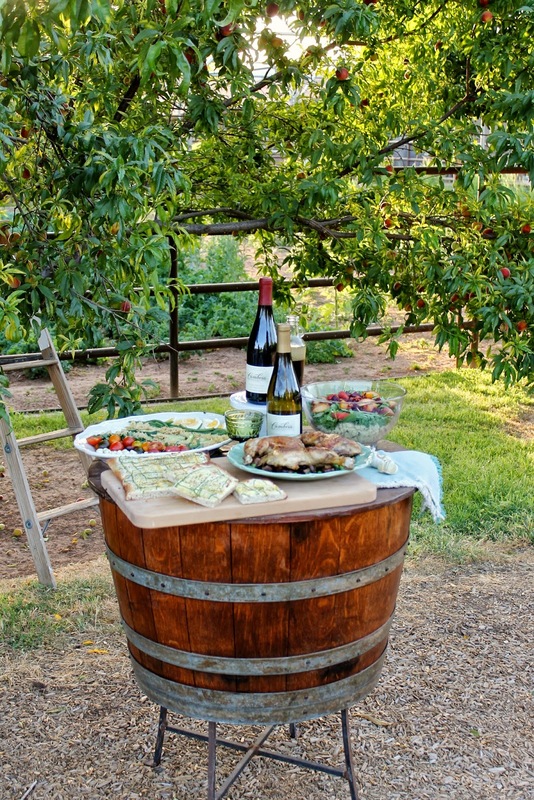 Throwing a farm-to-table event is all about the food and wine. The colors of each recipe stand out on their own because of the ingredients that were grown just steps away. 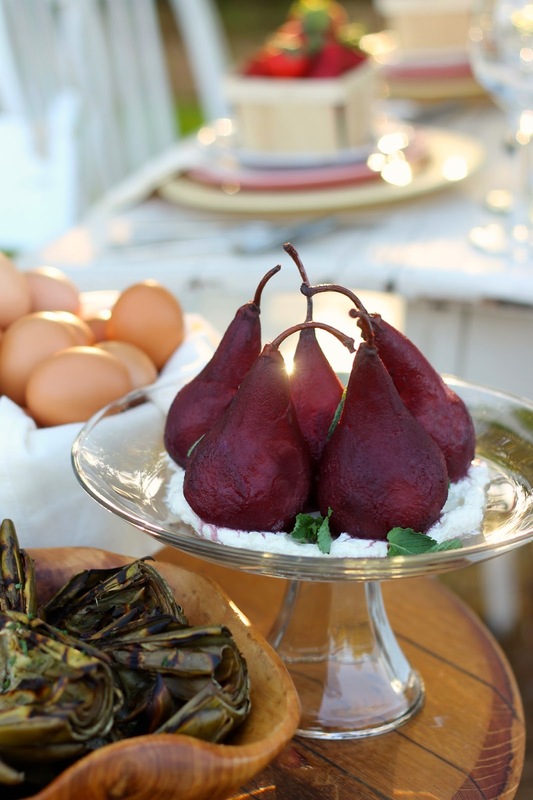 You can impress your friends and family by using the fresh fruits and vegetables in your dishes, and they can also serve as beautiful decor. 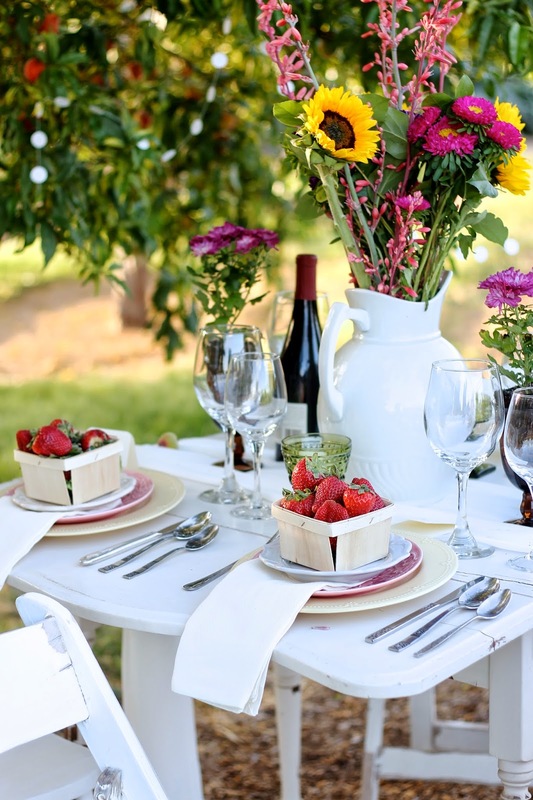 Styling a table can be simple with just a few pieces picked up at your farmers market. 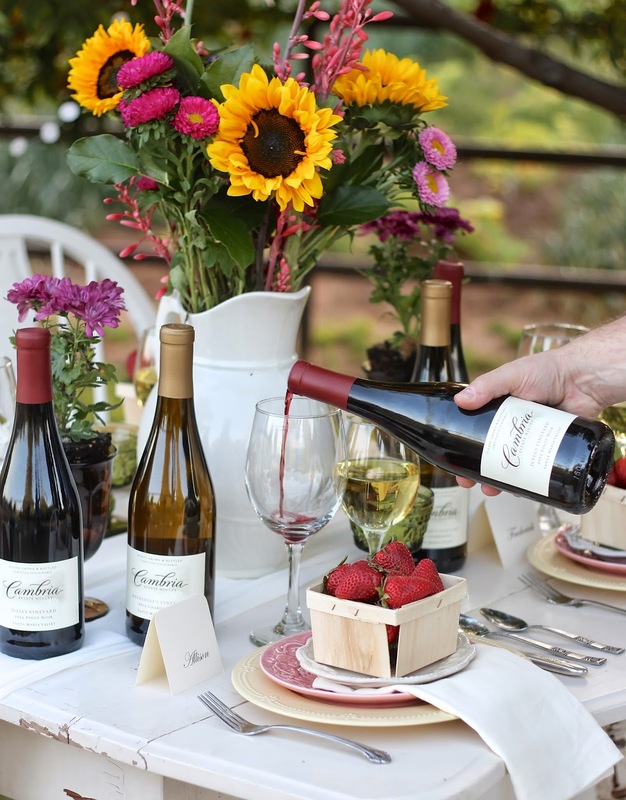 We greeted our guests with a glass of chilled Cambria Katherine’s Vineyard Chardonnay and allowed them to take in the special touches. 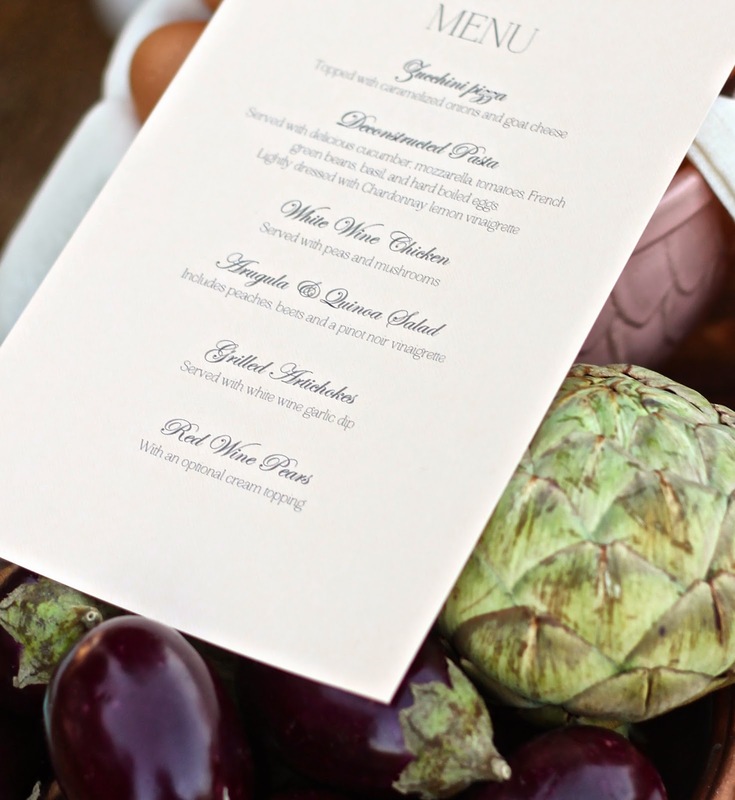 As our guests found the seat with their name tag, they were greeted with their own basket of fresh strawberries and a printed menu to see what they were to look forward to. 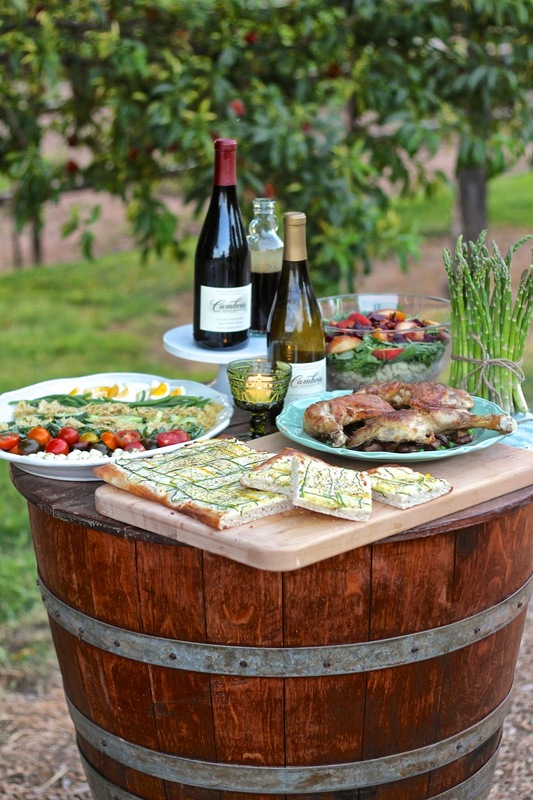 The menu was carefully orchestrated so that each recipe included only farm-to table-ingredients, and both Cambria Chardonnay and Pinot Noir was incorporated in most of the recipes. 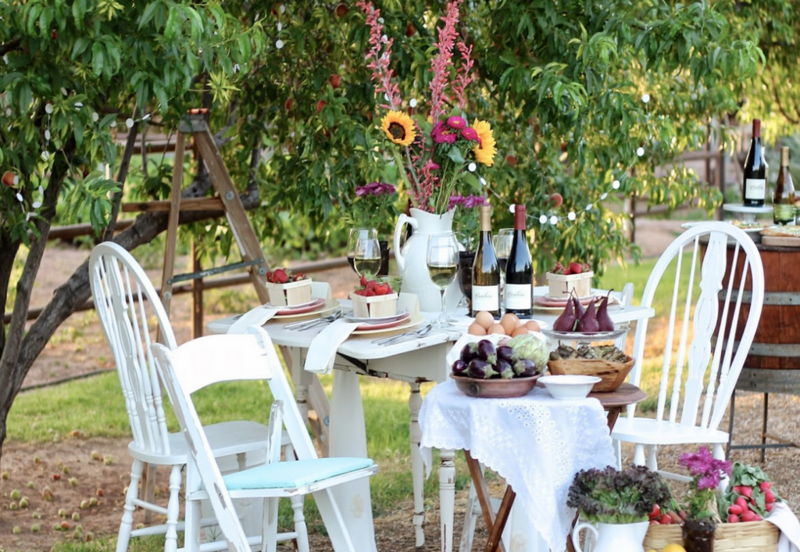 Surrounded by the farm as a backdrop, and eating our meal under a peach tree, the atmosphere made for an incredible evening of fresh food, wonderful wine, and fantastic memories. Special thanks to Chick-a-Bee Gardens for allowing me to use their gorgeous farm for this photoshoot. Phoenix is such a gorgeous city. I’ve been a few times and love how beautiful the homes are. I would love to see the farming area of Phoenix because these pictures are just lovely. I never knew the farm area existed in Phoenix until we moved here. The landscape is vastly different within just a 10 mile radius. It is definitely a place to check out. Thanks for your comment Reginia! That menu sounds amazing, and your pictures are stunning! 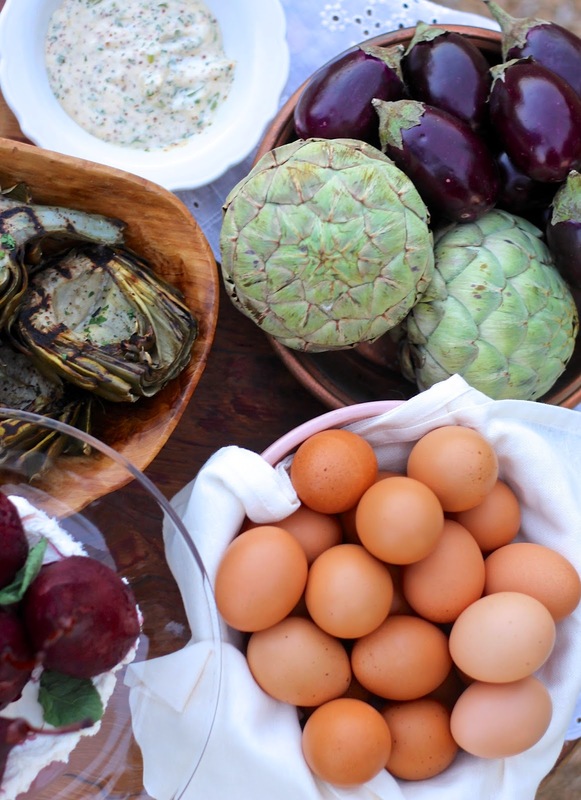 Farm to table is a great way to eat, I try to do it as much as possible living in Suburbia. Thanks so much Renee! It was definitely a great meal! Thanks for you compliment. I worked really hard on my photo expertise. Always so much to learn! Awe, thanks so much Trish! That looks absolutely amazing! I will definitely have to try that menu. I highly recommend trying out some of the recipes for the menu. Thanks so much! Thanks Cyndi, I agree, Cambria is so good. Thanks for the compliment on my photos. Worked really hard. Thanks for stopping by! Yummy and so aesthetically pleasing! 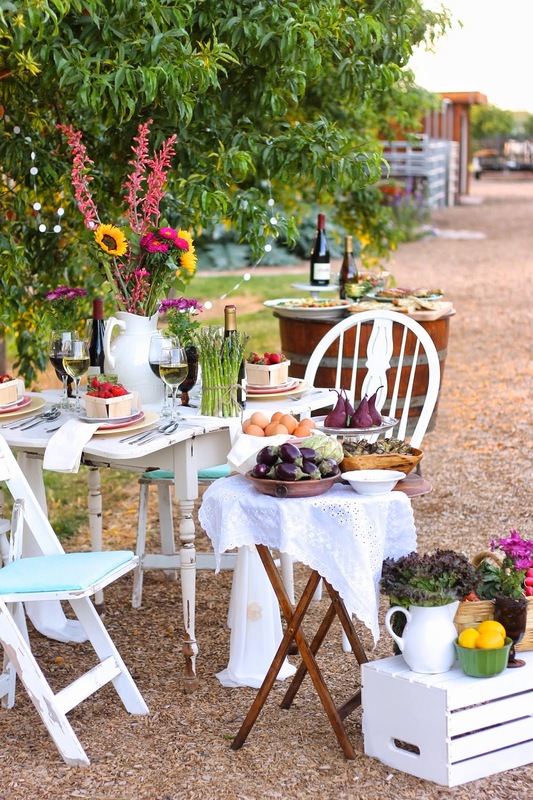 Very inspired to create my own farm to table get together! Yay! 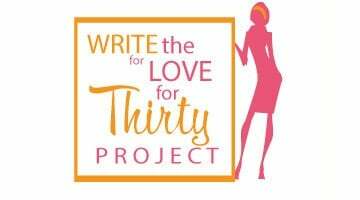 So happy to inspire! Hope you get a chance to try your farm-to-table. This made me miss Phoenix. We lived there (in the non-farming area I-17 and the 101) for 15 years. We just recently moved to Oregon. Your pics are AMAZING! Awe, thanks so much! Oregon and PHX are like polar opposite, however, I am sure that Oregon is some fab weather right about now. Everything looks so delicious. Great photography as well! Thanks so much! I super appreciate your comment! Thanks so much for your comment and kind words. This was a great event. A lot of people think it is all desert, but there are some great spots. This post is actually only about 2 months old. I did it and the menu in May. I hope you try some of the recipes. They are easy and delicious! Glad you can use some of the recipes for your vegan menu.